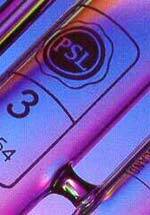 PSL (Poulten Selfe & Lee) specialises in the viscosity measurement of petroleum products (new & used) and the dilute solution viscosity measurement of polymers and pulp. 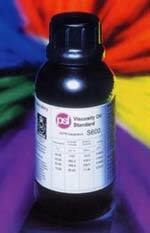 PSL maintains a primary viscosity scale and its calibration activities are accredited by UKAS, demonstrating that the company's calibration laboratory fully complies with ISO 17025. Designed specifically to meet the requirements of standard test methods, ISO/DIS 3104, 3105, ASTM D445-IP71, ASTM D2515, ASTM D446, BS188, DIN 51562, 52007. For each series the hydrometers are graduated to indicate density at 20oC. Instruments from 0.6 to 1.0 are adjusted for liquids of LOW surface tension, whereas those from 1.0 to 1.5 are adjusted for liquids of MEDIUM surface tension. N.B. Higher ranges of the above instruments are available on request. 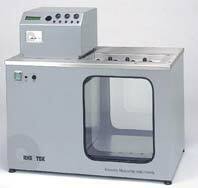 The above instruments can be supplied with certificates of calibration issued by an approved UKAS accredited laboratory.